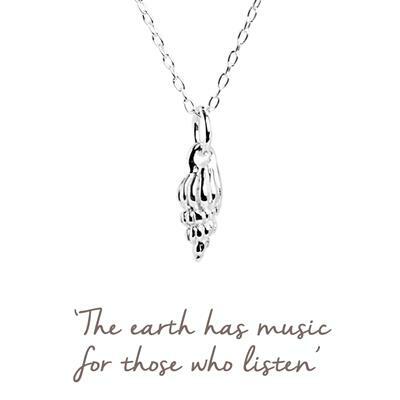 Conch shells have been used for their musical properties in rituals and celebrations since ancient times. A symbol of heightened spiritual awareness in both Buddhist and Hindu traditions, the conch represents joy and divinity. Repeat your mantra to yourself when you need some inspiration. We have designed Mantra jewellery to give you a precious, personal, wearable and lasting reminder of your mantra. Wear your Mantra jewellery to bring inspiration and joy, every day.